Bespoke WordPress website for Glasgow based television production company. Finestripe Productions is a BAFTA and Royal Television Society award winning Glasgow-based independent television production company. We worked with them to designs website that truly represents Finestripe and works as a showcase for their television productions. Finestripe are a busy Glasgow based independent television company. They approached us to work with them on designing and building a new website that better reflected the growing stature of their business. We drew heavily on their existing branding to create a design for the website that is uniquely Finestripe. 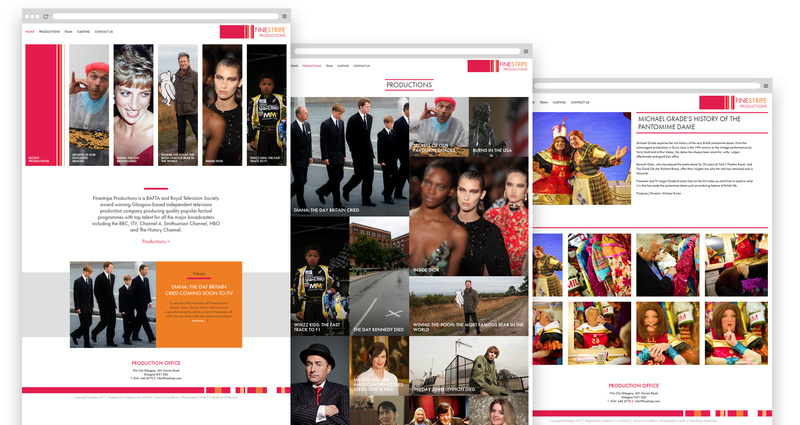 The website is a bespoke WordPress build and makes it easy for staff to add productions and news to the website.